Born at Winnipeg on 27 March 1908, son of Moses and Dora Dorfman, he was educated at St. John’s Technical High School and graduated from the University of Manitoba in 1927. On his 1931 graduation from Manitoba Law School, he received a gold medal and, after articling with the firm of Sparling and Sparling, he formed a partnership with A. M. Shinbane. He was made a Queen’s Counsel in 1950. He was later a senior partner in the law firm of Thompson Dorfman Sweatman and was a special counsel for the Canadian Department of Justice. 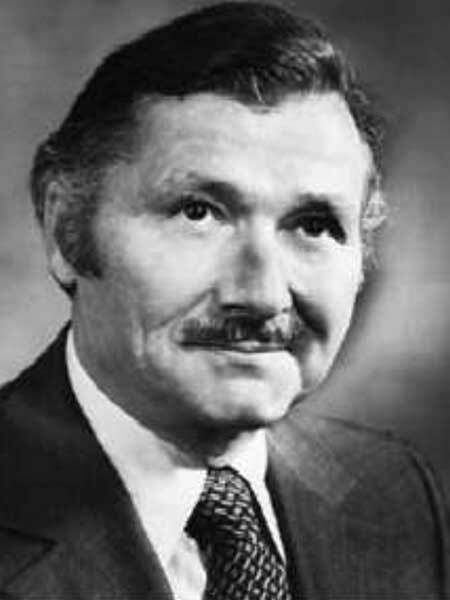 He served as President of the Manitoba Bar Association (1965-1966), the Law Society of Manitoba (1971-1972), and the Canadian Bar Association (1975-1976). He served as a Governor of the Canadian Tax Foundation, and a trustee of the Foundation for Legal Research. During the Second World War, he was Director of the Trans-Migration Bureau of the Joint Distribution Committee in New York, an organization which raised funds and assisted Jewish refugees to leave war-torn Europe. Once president of Winnipeg Lodge 650, B’nai B’rith, and an executive member of the YHHA, he was associated with the Young Men’s Section of the Winnipeg Chamber of Commerce and served as co-chairman in 1950 of the legal division of the Community Chest. He was a member of the Board of Management of Shaarey Zedek Synagogue, President of the Shaarey Zedek Brotherhood, and a member of the Board of the Royal Winnipeg Ballet. In 1977, he received the Queen Elizabeth II Silver Jubilee Medal and an honorary doctorate from the University of Manitoba. He died at Winnipeg on 9 November 1993 and was buried in Shaarey Zedek Memorial Park. Obituary, Winnipeg Free Press, 13 November 1993, page 53.